Latest version 2.5 released on January 13, 2019. Visit the features page or member area to view the changelog. 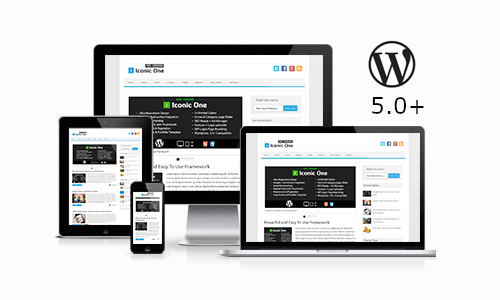 Theme is fully compatible and tested with latest WordPress version 5.0.2 and above. A theme for next generation of bloggers, it features a very simplistic design and is powered by our own lightweight Themonic Framework. Super fast loading time, ultra responsiveness and SEO features will make sure that your site is loved by the search engines. Iconic One make use of the live customizer options for an easy setup. Check out the details page below to find out more.